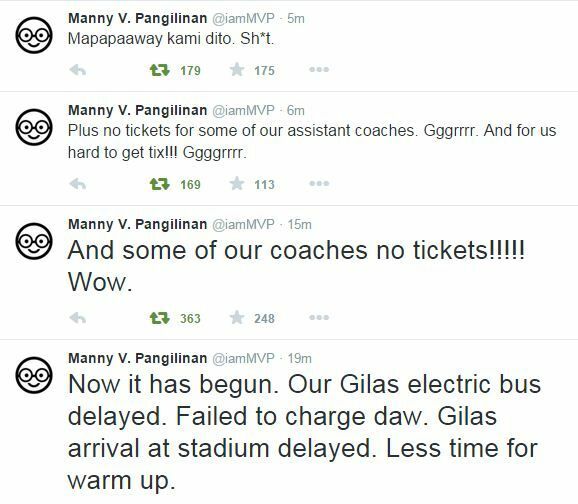 CHANGSHA, China - In a rare rant on Twitter, Gilas Pilipinas patron Manny V. Pangilinan hit out at 'shenanigans' pulled off by host China a few hours before the Fiba Asia Championship final against Gilas Pilipinas on Saturday. "Less time for warmups," the head of the Samahang Basketbol ng Pilipinas (SBP) told his more than 106,000 followers on the social media site. The businessmen-sportsman also claimed members of the Gilas coaching staff as well as the group of SBP officials who has come to support Gilas had a hard time securing tickets. 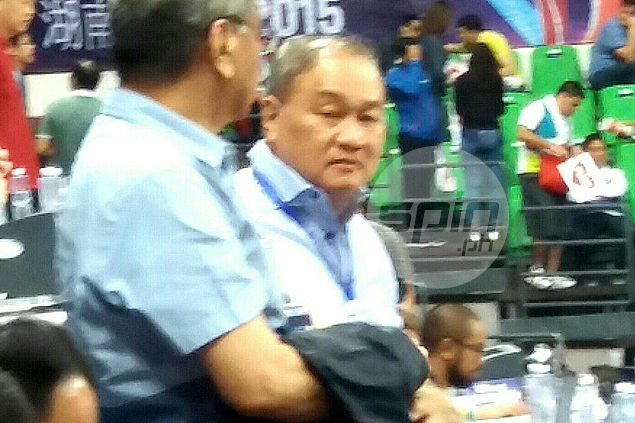 Not a single ticket was allocated to the SBP by the Local Organizing Committee (LOC) and Pangilinan was only able to get one for himself and a few of his visitors courtesy of Fiba Asia secretary general Hagop Khajirian. The SBP contingent finally got hold of 15 tickets in the black market that was sold for RNB 1500 but originally priced at RNB 300. It is SOP for local organizers to allocate tickets for teams playing in the championship, SBP officials claimed. "Mapapaaway kami dito," Pangilinan said, throwing in an expletive. Even before the incidents, complaints have mounted over the decision of organizers to push back the start of Gilas' semifinal against Japan by 30 minutes, further cutting into its recovery time for the final.